If your company isn’t creating estimates in QuickBooks prior to beginning a job, then you could be making a huge mistake. While construction corporations generally use estimating, it should also be used by any business that creates quotes or bids through job costing in QuickBooks. 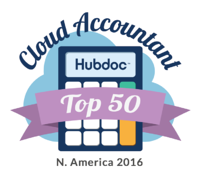 Here are some of the top reasons why every company can benefit from the job-costing feature in QuickBooks. margin. Proper job costing provides businesses with the power to carefully track expenses and income, generate job specific financial reports, and improve estimates to boost the bottom line. general disorganization—not to mention the troubles you’ll have when tax time comes! Computers and software such as Quickbooks has made bookkeeping easier, but it can still be time consuming and confusing. You may be unsure of how to utilize the software to the best advantage, and at the end of the day you’re busy with so many things that it’s hard to take time to enter numbers and analyze graphs. This is where Salt Lake City Bookkeeping can come in handy.